Inductive analogue sensors available in a range of housings. TURCK, represented by Sensit , has introduced an expanded line of inductive analogue sensors with a variety of new housing styles and functions. The analogue line major cylindrical styles (12mm, 18mm, 30mm) are now available with an extended linear sensing range that is up to a 100% longer than earlier styles. This series is called analogue+ and provides the longest sensing range currently available. The repeatability of all styles has been improved from earlier versions and is now specified at less than 1%. The temperature drift can be determined exactly in the respective temperature range of the application. The temperature drift is now specified at 0.06% per °C. 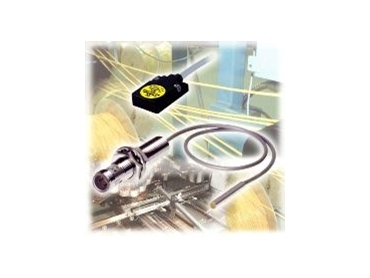 TURCK has added self-contained 6.5mm and 8mm diameter sensors to the product line. Also available are 4mm and 5mm styles with remote amplifiers. TRUCK has also extended its rectangular Q-pak line of sensors with sensing ranges up to 40mm.